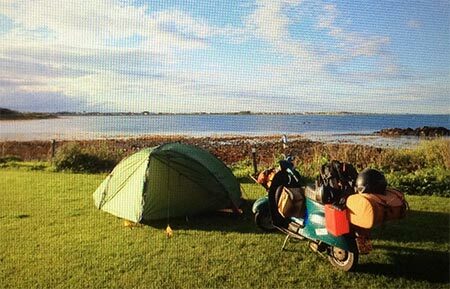 "I Came to Study in Holland Because of a Movie"
This is how Wittenborg writer, Ben Birdsall, described his round-trip along the Irish coast the past 3 weeks cruising at 40km an hour on his 1979 Vespa while visiting whisky distilleries for his upcoming book on the topic. The book will be illustrated with his own paintings. Birdsall was interviewed on Radio Dundalk FM on Wednesday morning where he was introduced to listeners as “a very interesting man who combines painting, writing, whisky and a wee bit of camping”. Birdsall reckons he visited about 22 existing distilleries and planned sites this summer. “Five years ago there was only about 4. This is definitely exciting times for the Irish whisky industry.” On his trip Birdsall visited distilleries during the day, collecting samples and tasting them at the end of the day after getting off the road. He concludes his trip on Saturday after starting off on 15 July. 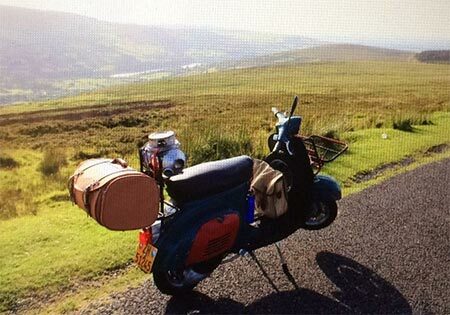 The book he plans to write is a sequel to his well-received travelogue/guide to Scottish whisky distilleries Whisky Burn – Distilleries of Scotland by Vespa which was published by Wittenborg University Press (WUP). 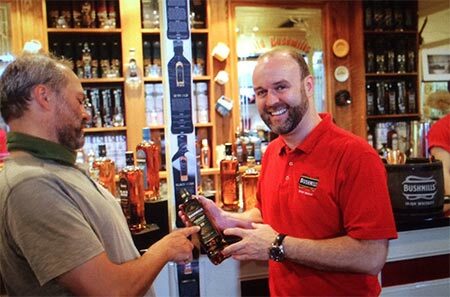 How do Irish distilleries compare to the Scottish ones?